Mid Michigan Community College’s Harrison campus offers three miles of walking and 15 miles of mountain biking trails, which are always open to the public. Every year, the college hosts races on them, and runners and bikers wind through acres of woods and clearings. But, as Halloween approaches, these trails will offer community members something very different—because on six different evenings, MMCC’s trails will be haunted. 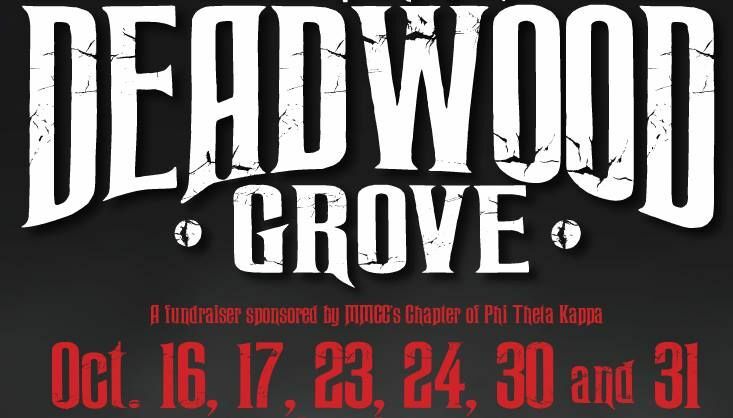 This is the fourth year that MMCC’s chapter of the Phi Theta Kappa International Honor Society will host the Deadwood Grove Haunted Trails. Trails will be open from 7-10 p.m. on Oct. 16, 17, 23, 24, 30, and 31. The cost to attend is $7/person or $5 for children 12 and under. Proceeds from this student-run event will be used to support MMCC’s Honor Society programming and general student activities at the college. Sarah Kohler, MMCC’s Phi Theta Kappa president, said these events represent a continued commitment by MMCC to provide community-oriented activities for the whole family. For more information about the haunted trails events at MMCC, contact Tammy Alvaro at (989) 386-6634 or talvaro@midmich.edu. To learn more about the college’s public trail systems and to view or print trail maps, visit midmich.edu/trails or contact Tiffani Lewis at (989) 386-6651.